I rarely do re-posts here, but seeing as how I am the original author, I think it’ll be OK. Below is an excerpt and link to an article I wrote for NESN.com, one of the finest sports sites out there (especiallly if you are a New Englander ;)). UFC and boxing aren’t the two most disparate sports in the world, but for years, fans of the two pugnacious pastimes have argued over which sport reigns supreme. Boxing is one of the oldest of the modern sports, but mixed martial arts has seen an explosion in its fan base over the past few years. Boxing has never quite enjoyed the same cultural influence which MMA is currently experiencing. The argument has bubbled up to the highest parts of UFC, as seen when UFC president Dana White discussed boxing and boxing fans (as usual with White, there’s “colorful” language in that interview). As much as bickering between fans served its purpose of extending the debate, there really haven’t been many opportunities to make a definitive distinction regarding which sport produces the better athlete. A lot can happen to a man in 14 years. At one moment you find yourself biting off another man’s ear, you get a tattoo on your face, allegations of domestic abuse, and then maybe you decide to mellow out a bit and see how vegetables work out for you. 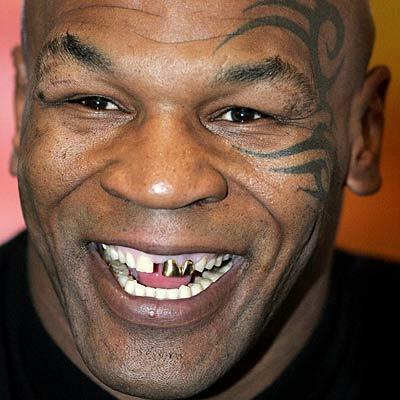 Kinda not what you expect from Mike Tyson, but then again, I didn’t really expect him to be such a big fan of Phil Collins either. Tyson broke the news about his new lifestyle choice on a YES network CenterStage show slated to air on May 26. Even though Tyson doesn’t fight much these days, there are actually vegan athletes in many competitive sports. One, for example, is UFC champ Mac Danzig. Mac has been interested in animal rights most of his life, and has been a vegan since 2004. Danzig made the decision to go vegan after reading about a vegan diet that was conducive to his training regimen. You can read all about him in an article by Mike Mahler, who helped inspire him to adopt the lifestyle.